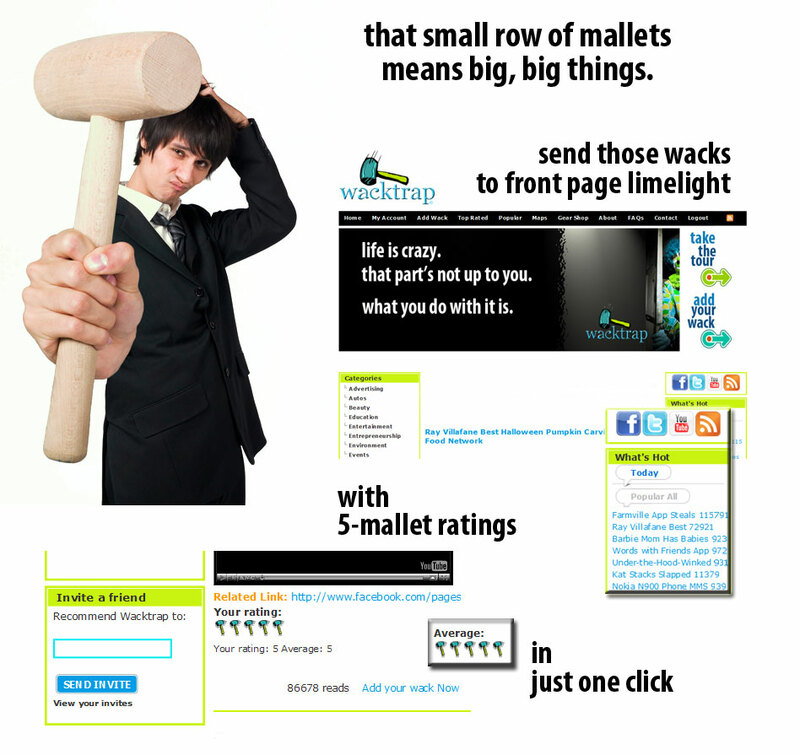 Those Fancy Features include Wacktrap Bookmarks, Wacktrap Forums, RSS Feeds Subscriptions, Wacktrap Messaging and our Share feature with wack mail. There’s lots more stuff you’ll be doin’ from My Account like adding and managing Connections, trackin' those wacks and sendin' invites. And don’t forget, you’ll be earnin’ Wack Stats for all every wack you add, wack you Rate and wack Comment you make.